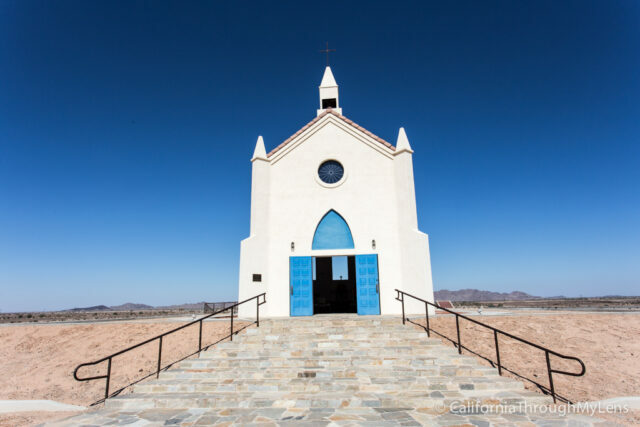 Located in the southeast corner of California, only a few miles from Mexico and Arizona, sits the “official” center of the world. The small town of Felicity, population less than 10, is recognized by a France and a few other countries in the EU as the center of the world. 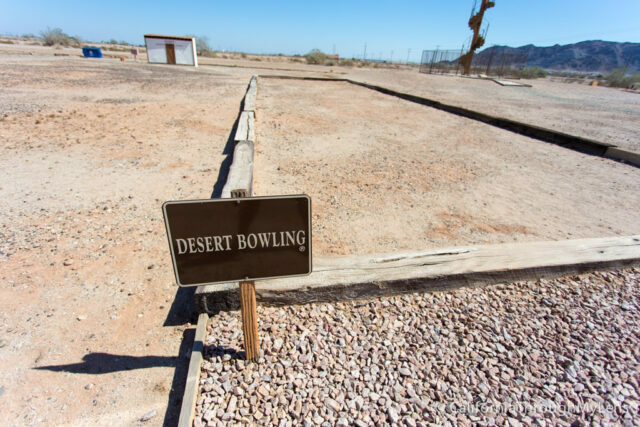 The USA and others still haven’t jumped on the bandwagon, but that hasn’t stopped the owner of this spot from creating a fun tourist attraction that attracts hundreds of visitors a week. 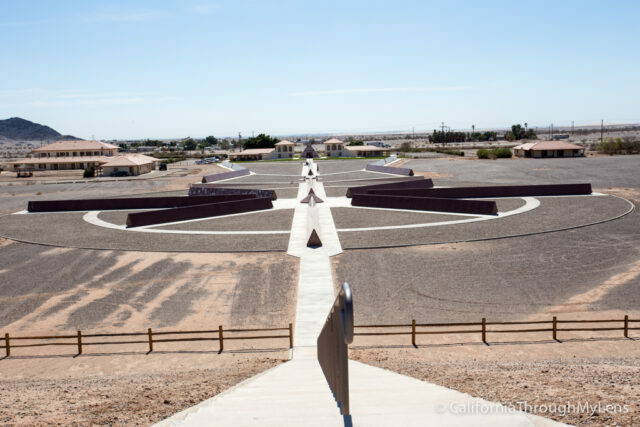 I got a chance to visit it on a very out-of-the-way drive in 2016, and I was pleasantly surprised by how much it had to offer, read on for all the information. 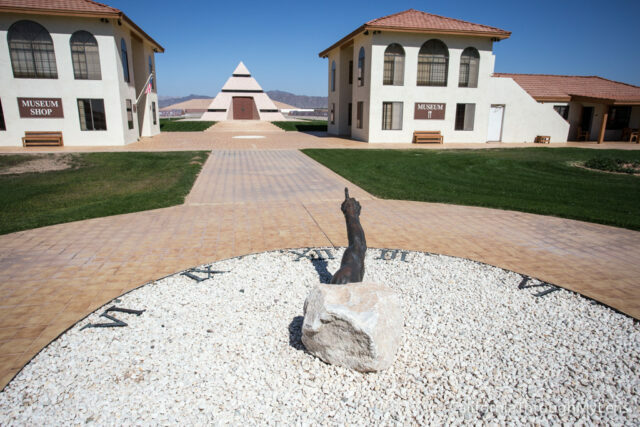 Cost: $3 for entrance to the museum, $2 more for entrance into the pyramid where the official center of the world spot is. 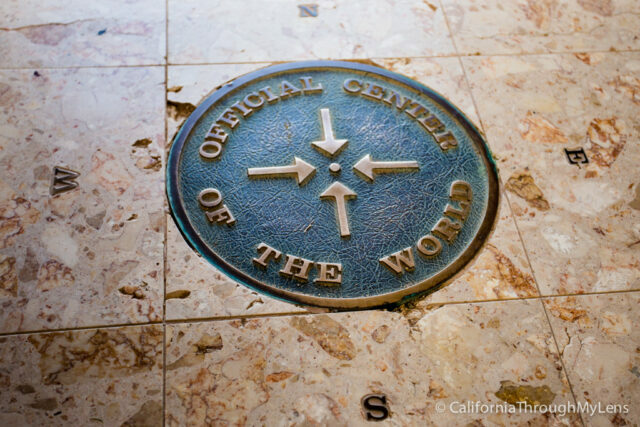 The Official Center of the World is the dot on the bronze plaque within the pyramid. The center of the world, or the universe, can be anywhere. It was set by law, based upon a now popular book for children. 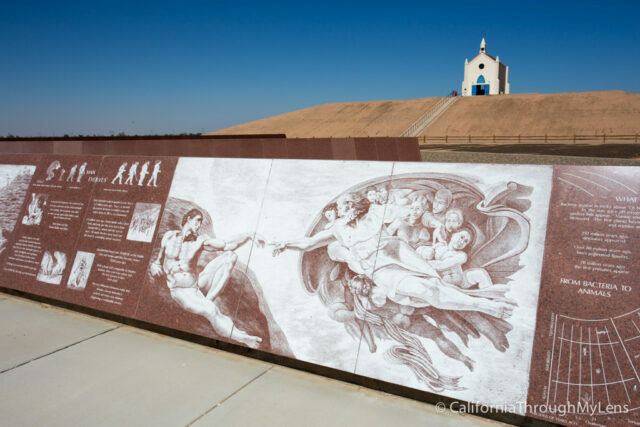 “COE the Good Dragon at the Center of the World,” now in its 6th edition, led to the 1985 law setting The Official Center of the World at the precise point inside the pyramid at Felicity, California. In 1989, the law was recognized by the Institut Geographique National of the Government of France. 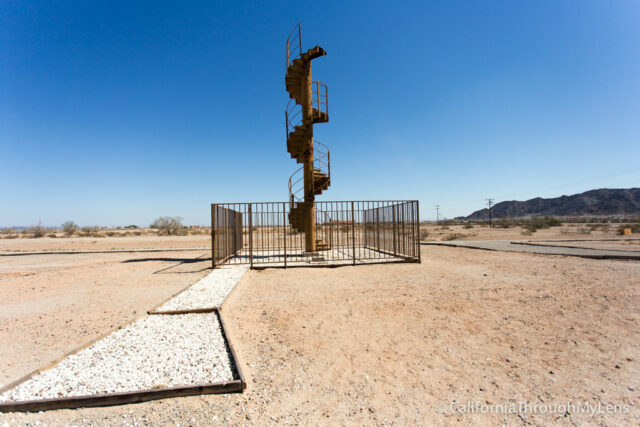 The first spot you will see when you enter the parking lot is the staircase that leads to nowhere. This staircase is actually an original piece of the Eiffel Tower that was bought at auction. It is one of 20 parts of the original stairs that were auctioned off. 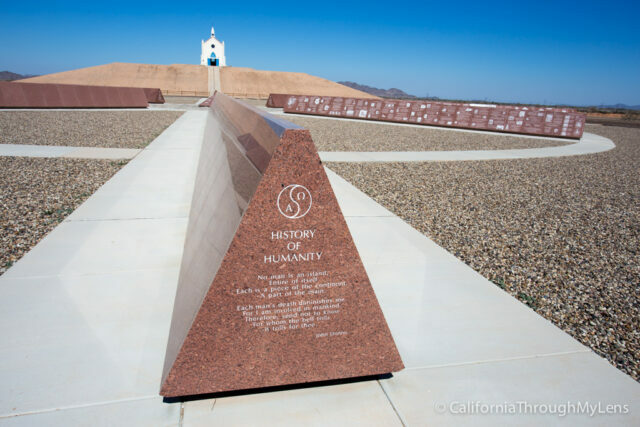 Pretty crazy to see a piece of that famous monument in the desert. Next, you will no doubt notice the sundial made from as a replica of the hand of God from the famous Michelangelo painting. It was pretty unique for sure, and it points to church up on the hill, while telling the time. 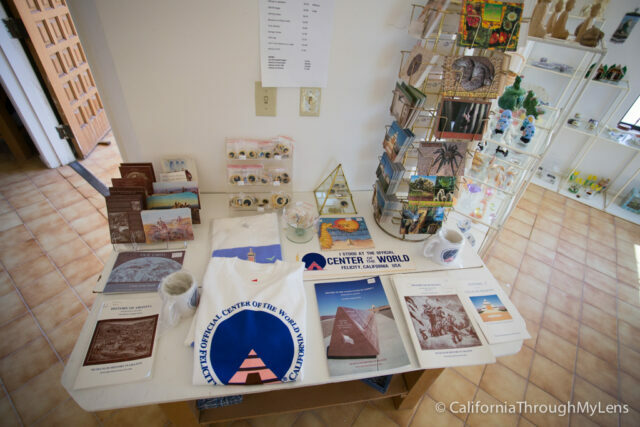 When you grab a ticket to the museum and the center of the world, there is a full store with lots of souvenirs in it. 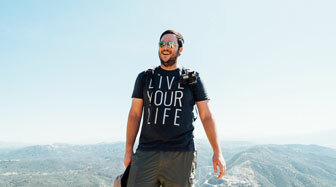 If you are interested in commemorating your trip with a shirt, now is your chance. 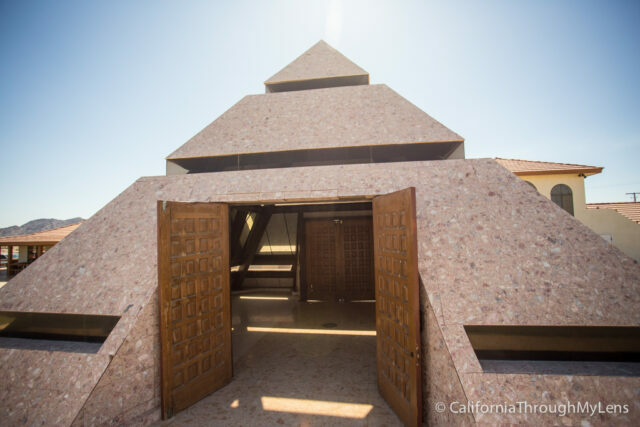 After paying our fee, we headed into the pyramid and got a chance to see the center of the world. It was fun, and one of the volunteers came in with us and noted the time of our visit. This is done so that they can provide you with a certificate when you leave noting that you saw it. Also, they tell you to stand on the dot and make a wish as well. It was silly, but a lot of fun and our guide was great. I can’t wait to add my certificate to my collection of travel souvenirs. 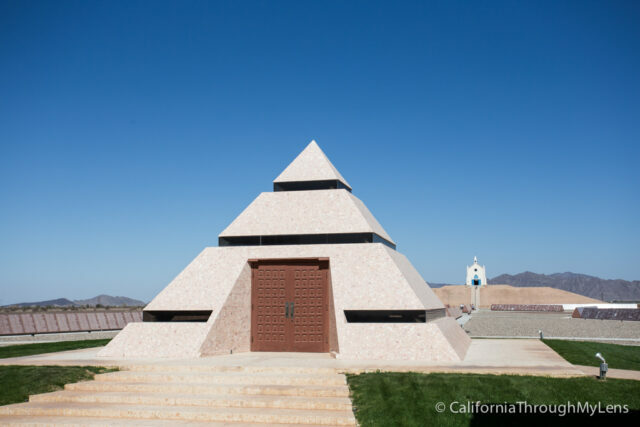 Between the pyramid and the church is a long section of granite blocks all carved to represent different parts of history. Here are some of the main ones. 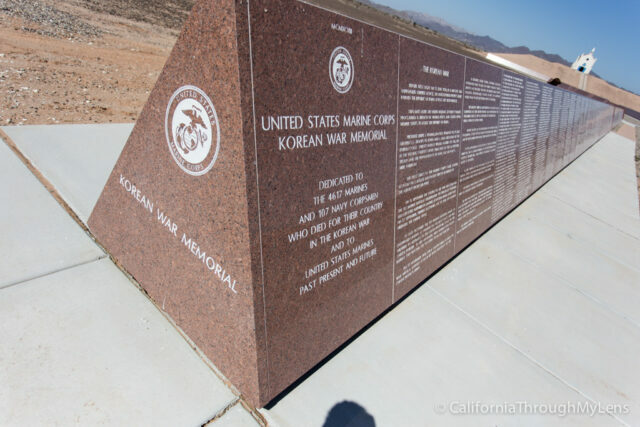 One of the main reasons people visit is to see the Korean War Memorial which has the names of those that lost their lives in the Korean War. I saw a few Vets walking the memorial when I was there, and I thanked them for their service for our country. 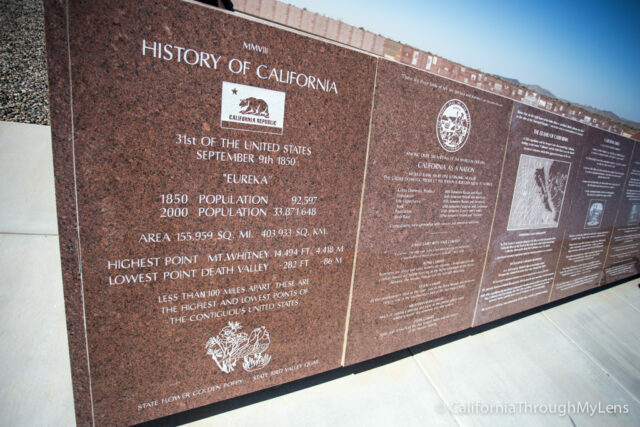 In the middle, there is a large section of granite dedicated to the history of Arizona on one side and what will be the history of California on the other side. 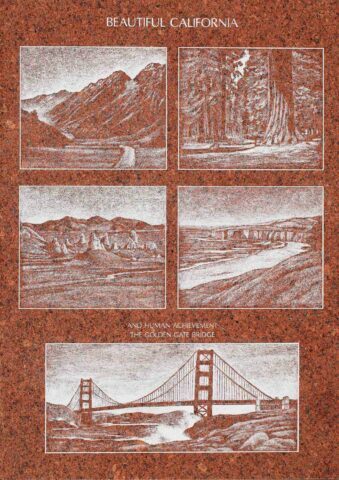 It is impressive to see the work that was put into making these beautiful pictures in the granite. The last part of the museum, that they will be working on for a few more years, is the history of humanity. 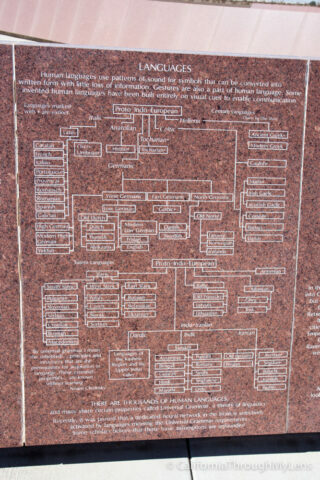 When I spoke with them they were only up to 800 AD which means there is a long way to go. 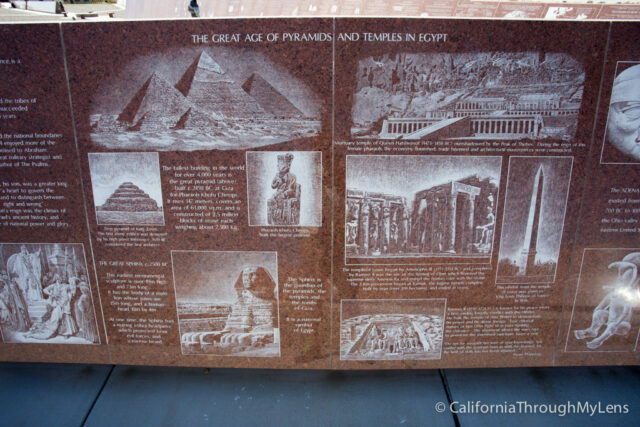 This part was impressive as it had a lot of history and art carved into the granite. Here are a few photos. 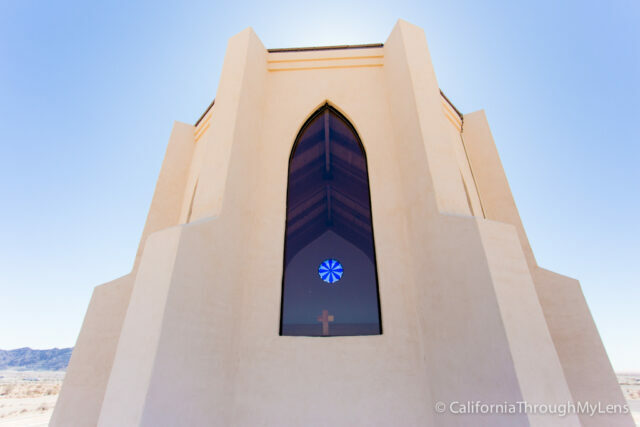 After checking out the Granite Museum, I would recommend heading up to the church on the hill as your last spot at the Center of the World. 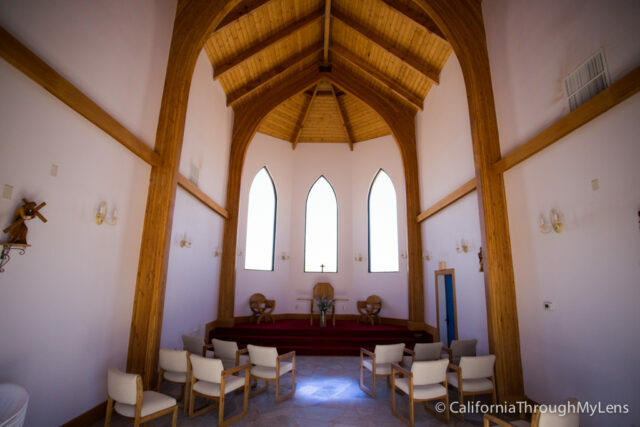 The church provides a bird’s eye view of the entire area, and while small it is still a beautiful spot for a church. The interior can house probably 30 people, and I am not sure if they have any services here, but I wouldn’t be surprised if they did for special occasions. After wandering around a little more, we left the center of the world. I can honestly say that I was impressed by the amount of stuff to see here. Even though it was out-of-the-way, it was not a bad spot, and it is a fun place to road trip to with friends. 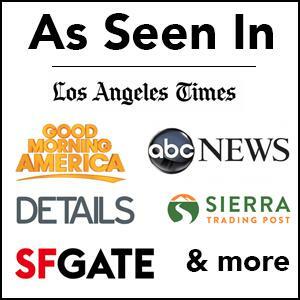 I would love to hear if you have been in the comments and what you thought.